The Horse Property Sales August 2018 Report Is For Single Family Residence (SFR) – ONLY. In addition to the Horse Property sales report, our Tucson Housing Report covers real estate activity in all of Tucson AZ. 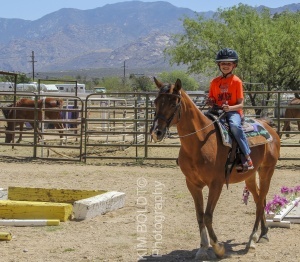 Tucson Horse Properties are available in most areas of Tucson. Tucson Horse Properties have larger lots that range from 1 acre to over 10 acres. Many Tucson Horse Properties will have luxury homes and horse facilities. Our Horse Property sales report video for December covers the greater Tucson AZ area. Click the link below to view this month Single Family Residences activity. Play Kim’s Horse Property Sales August 2018 Video Update – NOW! For Horse Property Sales August 2018 and all prior months, you can go to the Archives. The northwest and northeast areas of Tucson have the most horse properties. Why? Because there was lots of land in these areas. Here you can ride a horse in the morning and play golf in the afternoon. Tucson is home to the largest Arabian horse farm in the World. Al-Marah on the Northeast side of Tucson. Large cottonwoods abound in this area of the Santa Catalina mountains making it a beautiful setting. White mares graze in the dusky valley below. This dreamlike oasis in the Arizona desert is the setting for Al-Marah Arabians. Al-Marah was the vision, lifelong love, and work of Bazy Tankersley. Mrs. Tankersley is known worldwide in the Arabian horse community. Al-Marah began some years ago with a single stallion. Found in Indiana, Indraff was the first son of Arabian legend *Raffles. This one stallion created a dynasty. Indraff is responsible for an unrivaled roster of recognized Arabian horses. This world famous place is not for sale. It was donated by the owners to the University of Arizona. However, a number of equestrian property for sale have facilities on horse property for rent. Horse properties are identified with the southwest. And there is no better place to find your perfect horse property than Tucson AZ. Horse property homes come in all architectural styles. From traditional ranch homes, Spanish hacienda’s, Mid-Century, southwest and contemporary styles. Some even come with their own airplane hanger and nearby runway. You have to furnish the plane! This horse propertiy sales August 2018 update is one of our nine monthly reports. Our reports focus on specific communities and property types. Moving to Tucson for a job, interested in a winter retreat or a future place to retire to? We Can help.